Intelligent key for Dl status & DO status, details of fault pickup & status of last fault occurred. Star & Delta configuration 63.5/110V. CSEPRO series offers a multi functional comprehensive smart protection solution for Feeder, Generator, Motor & Transformer segment. CSEPRO family of protective relays are advance numerical relays that provide multi protection and monitoring with reliable and fast protection solutions in a single unit. 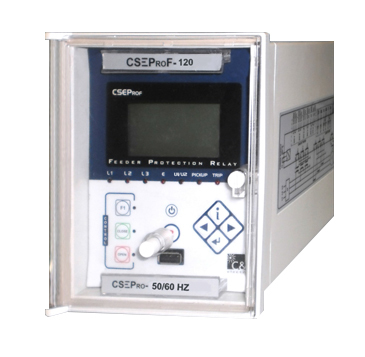 In this family of CSEPRO series, the CSEPRO-Fxxx is an advanced feeder protection solution which has fast, sensitive and secure protection for feeder faults. CSEPRO-Fxxx also provides an automation solution of power control. It complies with IEC 60870-5-103, IEC 61850, Modbus protocol for high integration of protection & control. CSEPRO-Fxxx offers following model based features to cover requirements of the wide range of users.